This caramel rose apple pie is mesmerizingly beautiful 😍! Preheat oven to 375˚F (190°C). Peel the apples and cut in quarters. Soak the apples in lemon water to prevent the apples from browning. Slice the apples into thin slices. In a small bowl, combine sugar, brown sugar, cinnamon and nutmeg. Stir to combine. 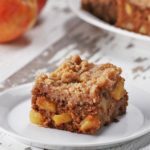 Sprinkle sugar and spice mixture over sliced apples and let sit for 30 minutes. Line a pie dough in a cast iron pan, and prick the dough with a fork all around. Chill. Drain the apples, squeezing them with your hands to remove the excess moisture. Reserve the liquid to make caramel sauce. Line the apple slices in the cast iron pan by overlapping each slice to make look like a rose. For the center, roll up one apple slice tightly and place it in the center of the tart, creating a rose bud shape. Cover the pan with a piece of aluminum foil and bake for 30 minutes. Uncover the foil and bake for 10 minutes, or until golden brown. In a saucepan, bring the leftover liquid from apple to a boil. Once the liquid is reduced by half, add the heavy cream and stir well. 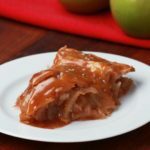 Pour caramel sauce over to the apple pie. 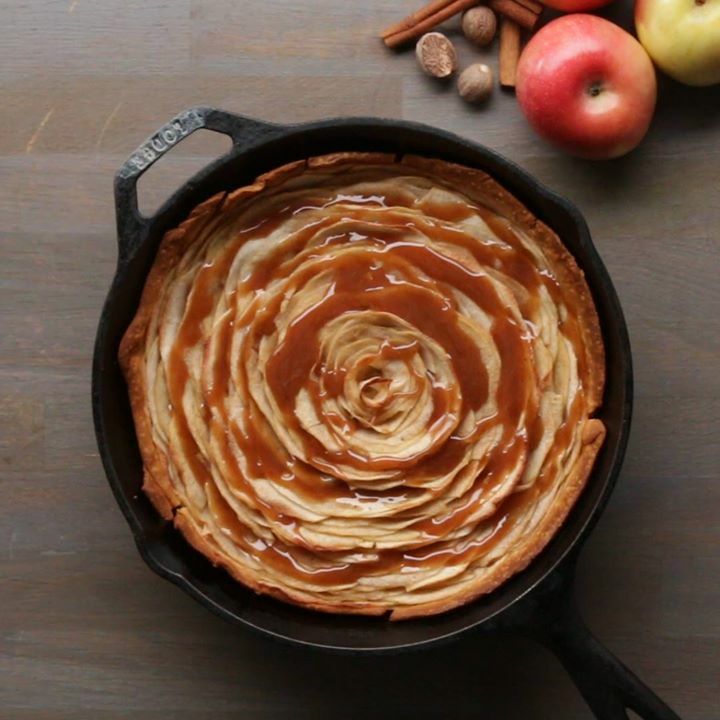 This caramel rose apple pie is mesmerizingly beautiful 😍!FULL RECIPE: https://tasty.co/recipe/caramel-rose-apple-pieShop our FAVORITE cast iron skillet set here: http://bit.ly/2xVwlAJ – We may make some $$ if you buy!